Recently delcared "The Best California Merlot Ever" by Nick Passmore, we completely agree that our Three Palms Merlot is among the best of the best. This is a classic expression of Three Palms Vineyard, with vibrant red fruit bursting through on the entry, followed by layers of licorice, wet stone and earth that reveal themselves on the mid-palate. Though the tannins are prominent, adding gravitas to this iconic Merlot, there is a lovely refinement to them that beautifully accentuates the flavors of blueberry, warm spice cake and Santa Rosa plum. Fortunate to have both 2012 Napa valley Merlot next to 2012 Three Palms. While Napa Valley Merlot was excellent, the Three Palms shoes deep layers of tobacco, fruit and leather. A fantastically long finish that I seemed to carry through the night. A fellow taster made a remarkable statement that Three Palms was the Screaming Eagle of Merlot! She was right. Unforgettable!!! 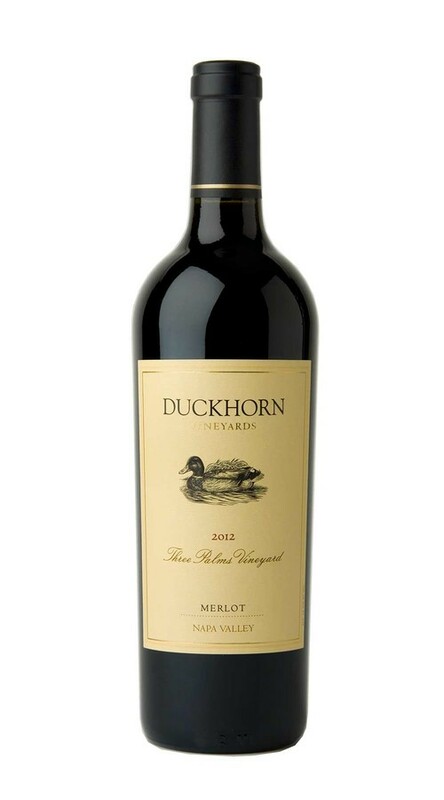 At Duckhorn Vineyards today, nose of dark fruit, plum, cigar box, allspice and dusty forest floor, more of the same on the palate, big body, elegant taste, complex, and delicious today but probably merit a higher score in three years and last fifteen years, wonderful finish and aftertaste.